Luxurious chalet! 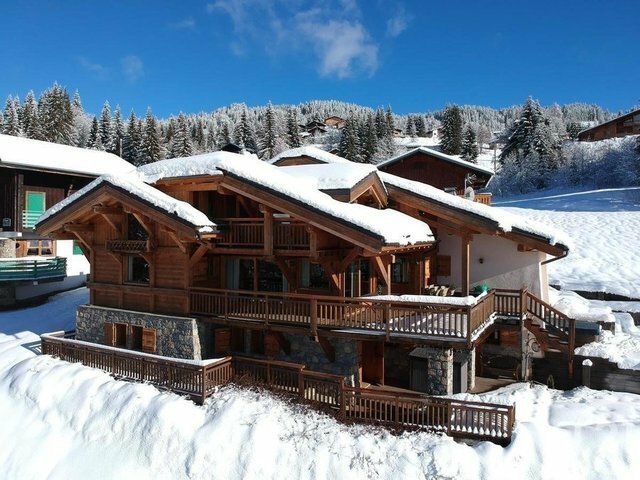 Nestled on the popular Chavannes area, just 10 minutes walk from Les Gets shops and ski lifts, this refined and luxurious chalet built in 2009, will seduce you with theses upscale services! A large living room with open log fire, a cozy lounge area, a modern, high-spec kitchen. This chalet boasts 6 large en-suite bedrooms, a games room perfect for children or parents. Stunning views of the mountains and the village, outdoor layout with garden, eight-person Canadian Beachcomber hot tub, and south facing terrace! A relaxing chalet, mixing luxury, comfort in a mountain spirit ... Not to be missed!